Does teaching reading feel overwhelming? You have students who struggle with the most basic of reading skills. And in the same room, you have learners reading a grade level or more above their peers. Can you really find time in an already-packed day? You’re not sure how, but you know you SHOULD. It’s keeping you up at night. every reader in your classroom. You know that small groups are essential. You know you need to meet your readers exactly where they are. awareness, phonics, fluency, comprehension, and vocabulary. But It’s Just. So. Exhausting. You know you need to teach with small groups, but there’s that one student who’s always interrupting you, no matter how many times you tell him not to. You know you need meaningful activities for the rest of the class, but you’re going crazy trying to keep up. You used to love teaching reading. But the constant feeling of overwhelm hangs over you like a dark cloud. and you have no energy left to engage your learners. They’re buried in assessment results … and aren’t even sure what to do with them. They’re drowning in papers and printables as they try to keep up with small reading groups. They madly laminate all weekend, feverishly preparing activities to keep the rest of the class busy. They try to teach small groups, but are constantly interrupted by students who have questions or are arguing with their classmates. They struggle to meet current standards for teaching phonemic awareness, phonics, fluency, and comprehension. They’re trying to gain ground … but they have students who can’t blend sounds, who don’t retain phonics knowledge, and who can’t make sight words stick. Their hearts hurt for their struggling readers who don’t seem to be growing at all. What if teaching reading were fun again? What if you learned to prepare meaningful small group lessons that kept your learners engaged and moving forward? What if you kept the rest of the class learning with low-prep, easily differentiated literacy activities? 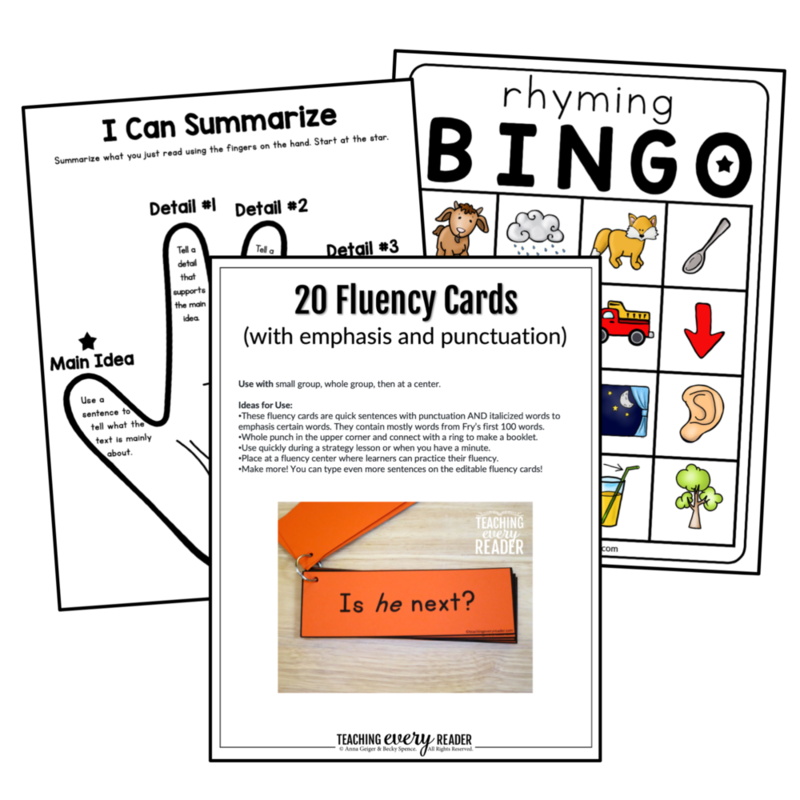 What if you had a solid system for teaching phonemic awareness, phonics, fluency, comprehension, and vocabulary? What if you could manage all the pieces while keeping your learners engaged, working independently, and growing in their love for reading? and still have time to live your life? Anna Geiger, M.Ed. & Becky Spence, M.Ed. I absolutely loved this course and have recommended it to our entire district. For the first time ever, I feel confident knowing that I have the tools I need to teach reading well! With step-by-step training and support, you will create a streamlined system for teaching reading in just eight weeks. Pinpoint what your students need to learn with easy-to-use assessments so you know exactly what to do next. Become a pro at giving small group lessons that accelerate student learning. Master one-on-one reading conferences that help you meet students exactly where they are. Learn to create year-long, easily-differentiated centers that keep the rest of the class learning (and don’t take all weekend to prepare). Discover new tips and tricks for teaching phonemic awareness, phonics, sight words, and comprehension … and watch your students’ reading abilities soar. Save hours of time with a huge variety of brand new, low-prep activities … so you can get your life back while doing the very best for your students. Want to know what’s inside? Get clarity on a few key elements so you’re ready to dive in. Learn exactly what your K-2 readers need to know. Discover how to avoid the 9 common mistakes that many reading teachers make. Choose the balanced reading framework that works best for your teaching style … so you stop wasting time and start making progress. Work through all the logistics so you can hit the ground running! Learn how to create an inviting classroom library so that students know how to choose their own books (and actually read them). End assessment overwhelm with our easy-to-use assessment bundle for K-2 learners. Learn to maximize small group instructional time … so you can engage even the most reluctant readers. Get lesson templates and detailed sample lessons to cut your prep time in half. Download our guided reading teaching tips for every level so you know exactly what to teach next. Teach your students to manage their time during independent reading, and watch their reading skills skyrocket. Design a partner reading system that keeps students reading (and not giggling about something entirely unrelated). Finally! Learn how to prepare low-prep literacy centers that keep the rest of the class learning … and let you teach small groups without constant interruptions. Discover the best tips for effective literacy centers - that won't burn you out. Master the management system that will make center time a success. Get tons of examples of engaging, low-prep literacy centers that you can use all year long … and that will save you hours of prep time. Use quick, easy-prep activities to build a solid reading foundation. Learn more than a dozen ways to build word awareness. Download song lyrics, word lists, and in-a-minute activities to teach the concept of syllables. Get a mega list of rhyming words, rhyming books, and engaging student activities. Grab word lists and activities to teach phoneme isolation, blending, segmenting, and deletion/addition. Build your toolkit with picture cards, puzzles, file folder games, clip cards and more - all easy to print and use! Learn exactly how to teach phonics to K-2 learners, and watch your learners’ decoding skills soar. Get a printable sequence for teaching phonics skills. Learn the important pieces of an effective phonics lesson. Discover how to help kids who struggle with letter recognition. Learn how to teach phonics through blending, word building, and word sorts. Grab printable word lists to make planning your lessons a snap. Learn strategies for teaching kids to read multisyllable words. Download picture cards, puzzles, small group games, and editable student activities! Watch your readers’ confidence grow as they learn to read accurately, at a good rate, and with proper expression. Learn over a dozen effective ways to build fluency. Discover the 7-step method to teaching sight words ... that works. Get 20 different ways to build sight word knowledge. Download editable flash cards, sight word phrases, file folder games, and more. Help students make sense of what they read using age-appropriate comprehension strategies. Discover how to fit strategy instruction into an already packed day. Grab our printable teacher prompts, tips, and book lists - created specifically for K-2 learners. Discover tips and tools to help students understand story structure. Download tips and lists of mentor texts for teaching story elements. Discover the important do's and don'ts for designing reading response activities. Get comprehension cards, center activities, and editable reading response sheets. Use simple teaching tools to help students make sense of nonfiction. Help your students use text features to aid comprehension. Learn how to teach text structure in a way that makes sense for K-2. Learn how to teach the challenging concept of main idea and details. Discover important do's and don'ts for assessing comprehension. Learn to use read-alouds, mini-lessons, and printables to boost student vocabulary. Learn how to determine which words to teach. Discover how to teach new vocabulary through whole class read alouds. Make a plan for teaching vocabulary in other parts of your day. Grab book lists, printable bookmarks, puzzles, and worksheets - all designed to build a strong vocabulary in K-2. Teaching Every Reader is what we wish we had when we began teaching 20 years ago! We're confident you'll love our templates, cheat sheets, training, and printables. We’re positive that this training will help you create a streamlined system for teaching reading in K-2. It will cut through the overwhelm, help you reach every reader in your classroom, and give you your life back. 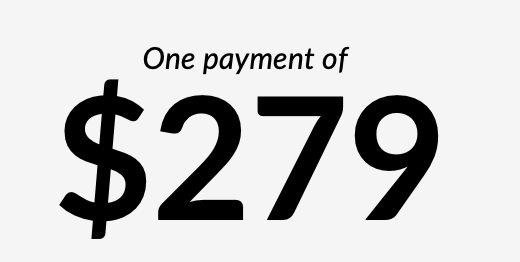 However, if you're unsatisfied for any reason, you may request a full refund. Just send an email to hello@teachingeveryreader.com within 30 days of purchase. Becky Spence, M.Ed., has taught kindergarten and first grade, served as a private reading tutor for K-5 readers, and is currently homeschooling while getting her add-on grad certification in dyslexia and language-based learning disabilities. Becky reaches a wide audience of parents and teachers through her blog, This Reading Mama, where she shares curricula, printable resources, creative lessons, and literacy apps. "After taking this course, my guided reading lessons are so much better. My students are excited to read to me and are always asking, 'Is it my turn to read with you today?' My principal wants others to observe my guided reading lessons!" "After taking this course, I feel far more prepared to teach reading in small groups than I ever have, especially in understanding the sequence in teaching phonemic awareness and phonics. I love the structured way the class is set up, and there are a TON of resources." "Even though I have worked with students for over 20 years, my confidence has grown because of this course. Teaching Every Reader is well-organized and very informative. Each module is thorough and delivered in a clear, concise manner. I’m so glad to have unlimited access to the modules. They will be a great reference in the months and years to come!" I have been teaching for many years, but this is the first time that I feel I have a clear understanding of the whole picture and not just one particular aspect of reading - and I have a much better idea of how to fit all the different aspects into my day! I feel much more confident and I can already see improvements in my students' reading!" 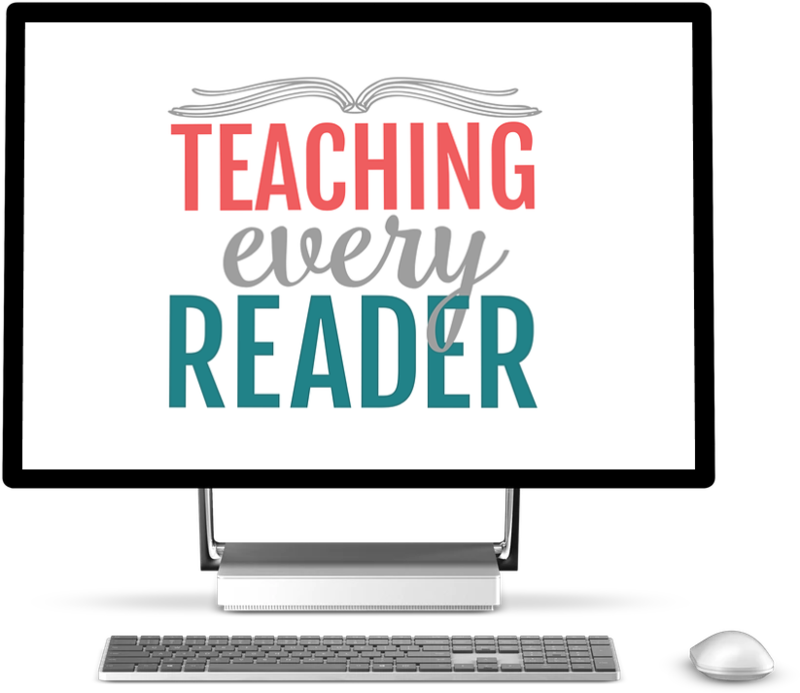 Teaching Every Reader is the comprehensive online course that will give you the tools and training you need to teach every reader in your K-2 classroom. You will learn how to design a realistic reading block, make a doable plan for assessment, plan effective small group lessons, teach students one-on-one ... and keep the rest of the class learning at the same time. Over 100 easily-differentiated activities that you can use in a variety of settings: whole group, small group, one-on-one, and at centers. *We'll be rolling out 1-2 modules per week for the 8-week duration of the course. But take as long as you need to complete the course, because your account doesn't expire! You have access for as long the course is online. When you sign up, you'll receive immediate access to both foundation modules. You’ll receive access to 1-2 modules each week until the 8 weeks are complete. A little busy? Don't worry about getting behind! The course is self-paced. Your membership doesn't expire. In fact, you'll have access to Teaching Every Reader for as long as it's online. Should we ever retire the course, we'll be sure to give you plenty of heads-up so you can download everything you need. I’m a busy teacher. Do I have time for this? If you’d like to complete the course in eight weeks, you’ll need just 1-2 hours each week to watch the videos and review the material. Don’t worry if life gets busy. Since you have permanent access, you can log in to complete the course or review the material any time you’d like! I really don't want to do homework, take quizzes, or write papers. Do I have to? Nope! Teaching Every Reader isn't like a traditional college course. Think of it has a vault of lessons that you can access and review any time you want - on your own time. I'd like to take this course, but I've already taken another course about teaching reading. Is this just more of the same? This course is what we wish we had twenty years ago. It answers every question we had AND provides hundreds of pages of printable student activities - many of them editable. Teaching Every Reader really is a jackpot of teaching methods and resources. We believe it’s one of a kind. Teaching Every Reader is a flexible guide, not a curriculum. We've designed the templates, cheat sheets, and printables to be used in any K-2 classroom. Anna and Becky look forward to coaching and supporting you in the Facebook group. Nope! The Facebook account is so that you may communicate and collaborate with your fellow teachers in the course. It's also the place where your instructors will answer your questions about teaching reading. But it’s not a requirement for getting incredible value out of Teaching Every Reader. Each student will receive a certificate for 20 hours of continuing education credits upon completing the course. This certificate can be used for professional development hours if your school, district, or employer accepts them. Please note that we don't actually provide the CEU's; this is usually done through your district office or employer. Since each state's requirements are different, we ask that you check with your district office prior to your enrollment. You’re just getting started in your teaching career and want to build a solid foundation right out of the gate. You’re an experienced teacher running on empty, and you’re ready to recharge with new strategies and time-saving tips. You have no problem investing 1-2 hours a week as long as you know that every bit of energy you invest is one step closer to reaching every reader in your classroom. 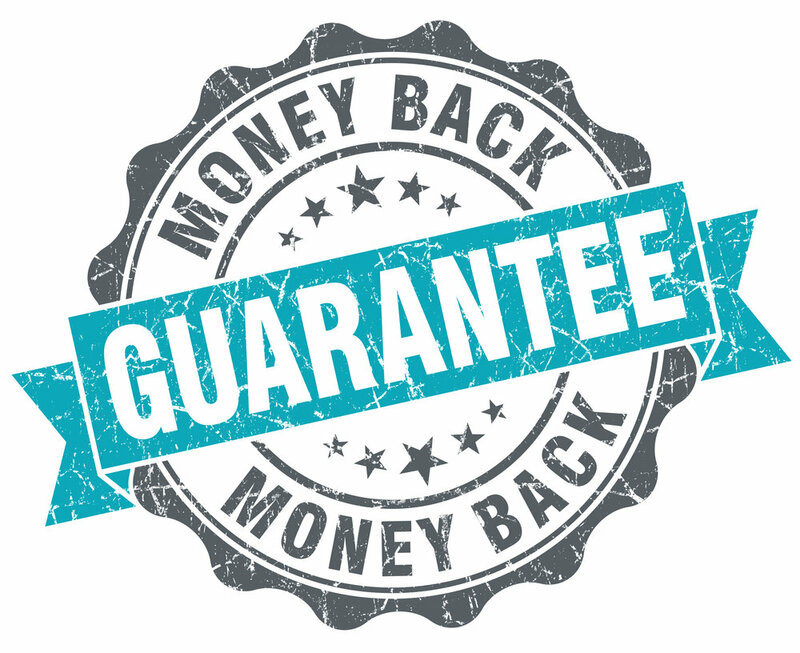 In fact, you’re ALREADY investing time and energy trying to reach every reader. The only problem is, you lack a streamlined system for fitting it all together and making all your efforts worthwhile. You’re ready to kick overwhelm to the curb, because you know that solid, effective instruction is within your grasp (and you won’t have to work long hours to achieve it). You feel confident grabbing your access details knowing you have 30 days to decide if Teaching Every Reader is right for you.